Copyright, 1894, by The Temple Music Co. Words by Arthur J. Lamb. Music by George Schleiffarth. 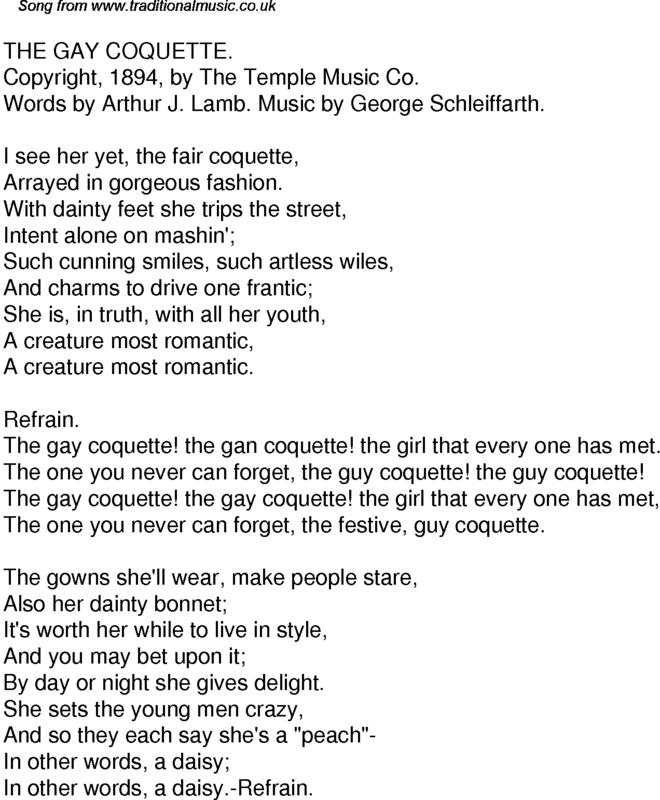 The gay coquette! the gan coquette! the girl that every one has met. The one you never can forget, the guy coquette! the guy coquette! The one you never can forget, the festive, guy coquette. By day or night she gives delight. In other words, a daisy.-Refrain.